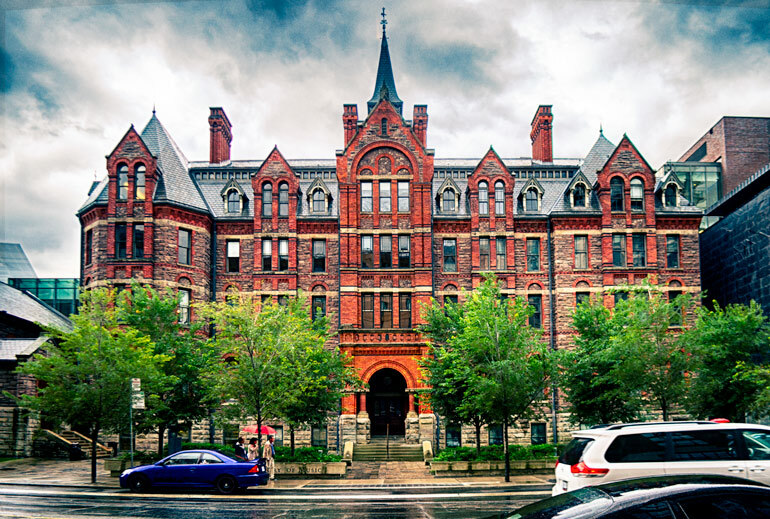 The Royal Conservatory offers an unsurpassed breadth of music appreciation courses taught by experts in a welcoming and collegial environment. Build new contexts for your musical experiences as you deepen your understanding and enjoyment of music across genres and historical periods, from the rich traditions of the past to the exciting frontiers of the present. With courses offered in the morning, afternoon, and evening, you’re sure to find something in our selection of offerings that sparks your curiosity and fits your schedule! Begins Sep 26; Tue 10am-12pm ($475). Instructor – Rick Phillips. Back by popular demand, this is another series of surveys of another eight composers. You’ll learn about their lives and loves, the influences on them, some of the social history of the time and how it affected them. You’ll discover some of the basic forms and structures of music, and of course, hear lots of great music, uncovering new insights into what to listen for and why this music has been loved by millions. Composers to be covered this time are Monteverdi, Vivaldi, Haydn, Clara Schumann and Fanny Mendelssohn, Brahms, Elgar, Sibelius and Ravel. Begins Sep 28; Thu 10am-2pm ($475). Instructor – Clayton Scott. While operas offer a rich feast of soaring music, they are also stories – about people, strong emotions and the human condition. In this series, four or five specific operas will be selected for study. One week will be a musical and dramatic presentation of an opera. The next week will be an exploration of other music – symphonic, piano or art song – written at the same time in history as the opera just presented. In all weeks, you will be immersed in the sound and meaning of what makes each work – opera or instrumental – “tick”. Operas may include those by Mozart, Rossini, Verdi, Bizet, Puccini and Strauss. The music of these operas will entice you to immerse yourself in the operatic listening experience! This series is suitable for opera neophytes and aficionados alike. Some sessions will include live performances from students of the Glenn Gould School. Begins Oct 11; Wed 1-3pm ($295). Instructor – Mark Micklethwaite. As part of the Ontario Culture Days festival, join Music Appreciation instructor and percussionist, Mark Micklethwaite for an exciting presentation about the points of convergence between Jazz and Classical Music! This interactive presentation will feature live music from pianist, Qiao Yi Miao Mu. Although the genres of jazz and classical music can be said to possess distinctive characteristics, both look to each other for inspiration and inevitably exert a subtle yet undeniable influence on one another. In this series, we’ll look at the similarities and differences between these musical styles, while exploring the intersections that have spawned new musical treasures. We’ll look at classical composers who composed works inspired by jazz, and we’ll explore jazz icons like Duke Ellington, John Lewis, Gunther Schuller, all of whom interpreted classical music in interesting ways. We’ll listen to innovative contemporary artists such as Uri Caine, Wayne Shorter, and Patrick Zimmereli who combine the world of classical music and jazz improvisation to create new sounds and structures. Through listening, lecture and discussion, you’ll come away with a greater understanding of the jazz and classical genres and how their points of convergence come together to create a broad range of beautiful music. Begins Oct 12; Thu 1-3pm ($355). Although Franz Schubert (1797 -1828) lived a short life in Vienna of only 31 years, he left us a marvelous treasure chest of songs, piano music, chamber music and symphonies. With a natural gift for melody, Schubert brought a fresh, expressive and more emotional quality to his works, as the burgeoning 19th century Romantic trend in the arts developed into the full-fledged movement. Exhibiting innocence, passion, sorrow, joy and playfulness, the Viennese have long claimed that Schubert should be experienced with “one eye dry, the other wet.” Using classic recordings from the past and present, Rick Phillips will present an informative and enlightening series, opening eyes and ears to Schubert’s marvelous musical world. Begins Nov 1; Wed 10am-12pm ($195). Instructor – Alison Melville. In collaboration with The Toronto Consort, this series is an investigation of the vibrant and inventive music, composers and instruments of 16th- and 17th-century Spain, including some of the music which made its way across the Atlantic to the ‘New World.’ Over four weeks, the series will explore popular songs (villancicos) and evocative sacred works, energetic instrumental dance music, intradas, fantasias and more, in a format which combines listening, lecture, imagery and class discussion. Class registrants will also receive a free ticket to Navidad, the Toronto Consort’s December celebration of Spanish music for the festive season. Begins Nov 10; Fri 10am-12pm ($235). Instructor – Rick Phillips. By the end of the 18th century, Franz Joseph Haydn (1732-1809) was the most popular and influential composer in Europe. Mozart revered Haydn, claiming, “He alone has the secret of making me smile and touching me to the bottom of my soul,” and Beethoven dedicated his first three piano sonatas to Haydn. And yet today we tend to neglect the works of Haydn, viewing them as light and superficial, and preferring those by Mozart, Beethoven and other composers. Our loss! Known as “Papa” Haydn for his invaluable developments of the symphony, string quartet and sonata, on the surface, Haydn’s music contains infectious degrees of humour, warmth, tunefulness, liveliness, even mischief. And yet, underneath these traits are a depth, sublimity, and nobility often associated with other “greater” composers. Begins Nov 22; Wed 1-3pm ($150). Join cabarazz vocalist Adi Braun as she takes an in-depth look at the lives and artistry of key female cabaret performers of Weimar Berlin. This 3-week series explores the emergence of the Modern Woman in post-Wilhelmine German society. Beginning in 1919 when given the right to vote, women began to play key roles in theatres and cabarets as club owners, managers, and performers with a new emancipated identity and artistic style. Breaking away from convention and the interpretive edicts of classical music, women found their voices in daring new material that addressed the socio-political realities of the day and their emerging sexual freedom. Artists such as Margo Lion, Kate Kühl, Annemarie Hase, Claire Waldoff, and Blandine Ebinger put their signature stamp on the prostitute songs, murder ballads, and tales of everyday life in the music of Spoliansky, Hollaender, Eisler, and others. As the Nazis rose to power and World War II loomed, they risked their lives singing songs that eerily foreshadowed the horrors to come until the footlights went out forever in the cabarets of Berlin. Begins Dec 7; Thu 1-3pm ($120). Instructors – Rick Phillips & Michael Crabb. Eggnog, mistletoe, turkey with cranberry sauce, quality time with family and friends, favourite carols, Handel’s Messiah, these are just some of the wonders of the holiday season in Toronto. To that list must be added The Nutcracker ballet by Tchaikovsky, annually presented during the holidays by the National Ballet of Canada, and now a very popular event for Toronto children, parents, grandparents and great-grandparents. This series, with Rick Phillips and Toronto Star dance critic Michael Crabb, will uncover the history, music, choreography, wonders and lasting appeal of one of the most-loved ballets in the repertoire. Begins January 17; Wed 10am-12pm ($210). Instructor – Wayne Gooding. About half of Mozart’s operas have comic story lines and a rich array of characters etched musically with a knowing tongue in cheek. With the action set everywhere from exotic harems to the upstairs/downstairs world of aristocratic mansions, the operas are comedies of manners that highlight the foibles of the passionate human heart. This four-week course traces the evolution of Mozart’s comic genius, focusing especially on the decade from 1782, which started with Die Entführing aus dem Serail, included Le nozze di Figaro, Don Giovanni and Così fan tutte, and ended with Die Zauberflöte. Registrants will receive a ticket to the Canadian Opera Company’s Dress Rehearsal of The Abduction From Seraglio on Saturday, February 3rd, 7:30pm at The Four Seasons Centre for the Performing Arts. Begins January 25; Thu 10am-12pm ($99). Instructor – Alison Melville. If you thought the recorder was just an instrument for school concerts, think again! In February 2018, Tafelmusik presents A Recorder Romp, which highlights the instrument in ebullient concertos by Vivaldi and Telemann for one, two, three and more soloists, and a set of ‘nightingale’ variations from 17th-century Holland. The music and instruments which grace these concerts will be explored in this two-session RCM survey course by Tafelmusik’s recorder soloist Alison Melville, who will also offer some ‘insider’ insight on the individual and collaborative creative processes which bring such a program to life. Join us to enhance your enjoyment of the concert, and to broaden your horizons about this often-misunderstood instrument! Begins February 2; Fri 10-11:30am ($375). Instructor – James Stager. 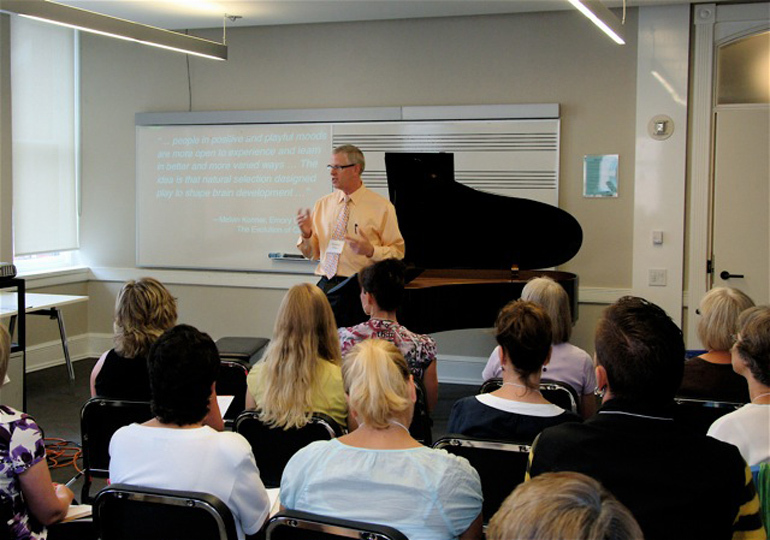 If you’ve always wanted to understand how music “works,” this practical session combining guided listening and active participation in basic musicianship exercises is for you. Explore the building blocks of music and how they create the magic of the music you love! We’ll deconstruct selections from classical, folk, and popular repertoires—including Mozart’s “Eine Kleine Nachtmusik,” Pachelbel’s “Canon,” Handel’s “Hallelujah Chorus,” Bach’s cello suites, and pieces by Bernstein, the Beatles, B.B. King, and Gershwin, among many others—and unlock the secrets of melody, rhythm, harmony, texture, form, genre, and more. Along the way, we’ll cover topics such as basic staff notation, scales, intervals, time signatures, note and rest values, meters, chords, and cadences. In the final class, we’ll put all the pieces together and apply our cumulative learning to an enlightening study of Beethoven’s monumental Symphony No. 5. 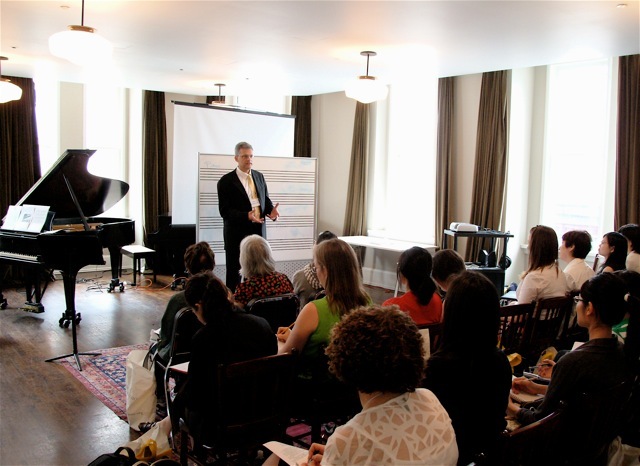 Participants will emerge from this course with a deeper understanding of the music they experience. Begins February 6; Tue 10am-12pm ($195). Instructor – Katherine Hill. In the sixteenth and seventeenth centuries, a court musician had access to the private chambers of royalty, diplomats and other dignitaries both at home and abroad, and therefore was a prime candidate for the secret intelligence service of monarch and realm. This course will surveil the double careers of John Dowland (1563-1626), Thomas Morley (1557-1602), Alfonso Ferrabosco the Elder (1543-1588), Peter Phillips (1560-1628) and one of Cavalli’s opera singers, Atto Melani (1626-1714), and others, while exploring the wider musical worlds in which they played their double roles of musician and spy. Begins February 8; Thu 10am-12pm ($295). Instructor – Rick Phillips. Often said to be the instrument closest to the human voice, the musical properties and characteristics of the violin have attracted composers through the centuries. Bach, Mozart, Beethoven, Brahms, Tchaikovsky, Sibelius and many others composed violin concertos that are now popular repertoire in concerts around the globe. With the ability to “sing” melodies, as well as handle fast, agile sequences, the violin’s versatility combines tender lyricism with pyrotechnical brilliance, making it one of the most communicative and expressive of all instruments. As one of today’s top violinists, Joshua Bell, has said, ” When you play a violin piece, you are a storyteller, and you’re telling a story.” This series will trace the development of the violin concerto from the Baroque to the present day, using classic recordings featuring legendary violinists from the past and present. Begins February 13; Tue 1-3pm ($475). Instructor – Rick Phillips. Beethoven (1770-1827) once said, “Music is a higher revelation than all wisdom and philosophy.” That belief is perhaps no better illustrated than in his nine symphonies. They are the most famous and frequently-performed symphonies ever composed – often likened to other great masterpieces of art, such as the plays of Shakespeare or the sculpture of Michelangelo. But what makes them so legendary, and what can they express and communicate to us today, in our busy, hectic lives, two hundred years later? In this series, we’ll look into Beethoven’s life and times, their impact on him and his art, and his powerful skills and methods of musical communication and expression through his wonderful world of the symphony. Begins February 14; Wed 10am-12pm ($235). Instructor – Rick Phillips. One of the greatest pianists in history, Sergei Rachmaninoff (1873-1943) continued the line of great Russian Romantic music championed by the likes of Tchaikovsky and Rimsky-Korsakov. As he claimed, “I am a Russian composer and the land of my birth has influenced my temperament and outlook. My music is the product of my temperament, and so it is Russian music.” Although the solo piano music and the piano concertos form the backbone of his work, Rachmaninoff also created lush, rich Romantic symphonies, tone poems, choral music and operas. Several of his melodies have been borrowed for use as tunes in the popular music field. Like Pushkin or Tolstoy in Russian literature, Rachmaninoff captured the true Russian heart and soul in music. Begins February 20; Tue 1-3pm ($170). Instructor – Andrea Botticelli. Unravel the mysteries of earlier keyboard instruments, taken from “behind the glass” in museum exhibits into twenty-first century reality. This course offers a rare opportunity to interact with historical keyboard instruments and learn about how they evolved and how they relate to one another. Concertgoers, advanced music students, and early music enthusiasts will learn more about instruments such as the harpsichord, clavichord, and the fortepiano. This series features an instrument exhibit and lecture recital using instruments from the Michael and Sonja Koerner Collection at the Royal Conservatory. The final lecture recital will be given by Lawrence Wiliford, tenor, and Andrea Botticelli on Sunday, March 11th from 4 – 8 pm. Begins March 1; Thu 1-3pm ($195). Instructor – Damon Groves. Have you ever wondered how the piano works? Or how to tune a piano? Join Damon Groves, RCM Piano Technician, to learn the history, construction, and inner workings of today’s modern piano. This course includes lectures, videos and loads of hands-on activities to satisfy your keyboard curiosity. Topics include a brief history of keyboard instruments, piano construction, tuning and the complexities of the grand piano action.